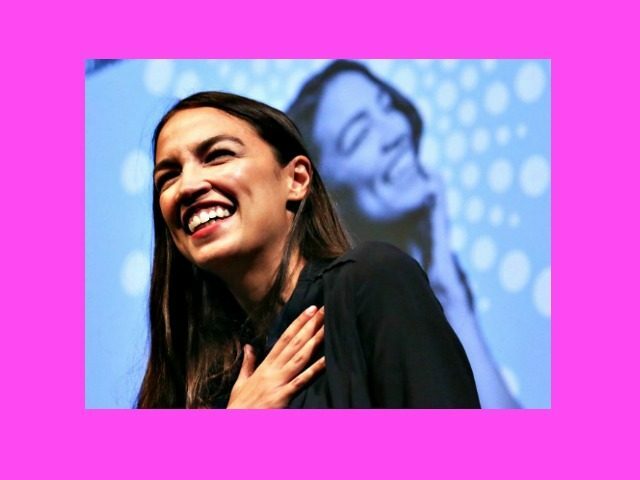 Socialist Democrat Alexandria Ocasio Cortez, the 28-year-old who is running virtually unopposed for a House seat in New York’s 14th Congressional District, is the poster girl for what is being described as the “pink wave” of women running for public office. But she is only one of a record number of women running for seats in the United States House and Senate and for governorships across the country — 278, according to Rutgers University’s Eagleton Institute of Politic’s database for the 2018 midterms election. Of those women, only 11 are Republicans. In Senate races: Incumbent Sen. Deb Fischer (R-NE), Martha McSally (R-AZ), Marsha Blackburn (R-TN), Karen Housley (R-MN), Chele Chiavacci Farley (R-NY), Susan Hutchison (R-WA), and Leah Vukmir (R-WI). In governor races: Kay Ivey (R-IA), Kim Reynolds (R-IA), Andria Tupola (R-HI), and Kristi Noem (R-SD). So whether or not a “blue wave” takes place on election day and Democrats retake the majority in the House and/or Senate, the pink wave is already making history. And the 267 Democratic women who are running for public office are anything but conservative, including Ocasio-Cortez, who worked with Sen. Bernie Sanders (I-VT) before launching her political career. She has said she wants to be just like Sanders as a member of Congress. All through the primaries, pundits have been declaring 2018 the year that women have finally decided to storm the gates of government. Maybe it was #MeToo or the marches—or “the Republican party increasingly looking like a scene from The Handmaid’s Tale,” as Steve Schmidt, the political strategist, tells me—but a record 529 women announced they would run for Congress this year. Another 61 filed to pursue governorships. But, NPR asked, is this “pink wave” just a blip or the start of a trend? “What we do know is that women don’t think about running for office as often as men do without getting recruited, without having someone else suggest it,” Deborah Walsh, director of Rutgers University’s Center for American Women and Politics, told NPR. “They’re just stepping up and engaging as candidates,” Walsh said. “Let’s keep in mind that women made up only less than a quarter of the congressional candidates this cycle who filed,” Walsh said.